Last month at the Samsung Developer Conference (SDC18), Samsung Electronics revealed a number of exciting enhancements that underscore Bixby’s transformation into an open, scalable intelligence platform that empowers users to interact with a wide range of devices to get things done. 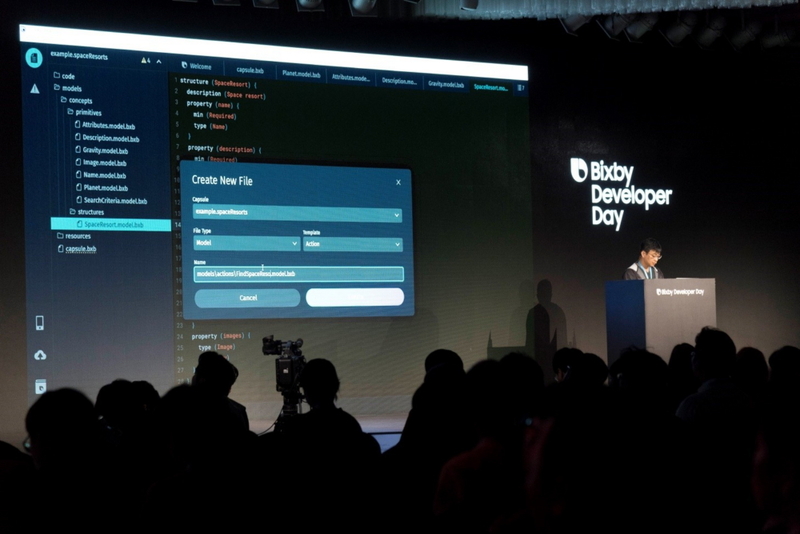 During the sessions, Samsung signified the democratization of Bixby, introducing the Bixby Developer Studio: a collection of intuitive tools that allow partners and developers to infuse intelligence into more products and services. To scale services powered by Bixby, developers can now build Bixby Capsules (features or services created for Bixby) and connect them to their existing APIs. The Bixby experience will be further enriched once the Bixby Marketplace officially opens, allowing users to browse through a variety of capsules that developers create and activate them on their devices as they wish. To learn more about how the company is enriching Bixby by empowering developers to build their own Bixby experiences, Samsung Newsroom spoke to Danny Whang, a Principal Engineer in Samsung Electronics’ AI Strategy Group. Q. Samsung revealed the “Bixby Developer Studio” at SDC18. How did developers react? What actions are Samsung taking, going forward? We garnered a lot of attention on the Bixby developer Studio, as seen by the 4,000+ developers who attended SDC18. Ever since, we’ve established a number of ‘Developer Relations’ departments that serve as touchpoints for developers to connect with our specialized Bixby experts and get answers to any questions that they may have. They’re currently up and running in the U.S., China and Korea, and we’re working on expanding to locations around the world. We’re also organizing more events that will allow us to meet and collaborate with talented developers. Q. What were some of the steps that Samsung took to transform Bixby into a full-fledged AI platform? We’ve always thought of Bixby as a platform through which people can use various Bixby services across multiple compatible devices. The first iteration of Bixby was revealed as an intelligent interface that interacts with our mobile devices because we wanted to unveil each function at the appropriate moment. We also thought long and hard about ways to improve the consumer experience, and make it easier for developers to create dynamic Bixby services. Our goals in releasing these new tools are to help third-party developers build services more comfortably and efficiently, and eventually get more developers to participate in the Bixby ecosystem. This will help develop the Bixby Marketplace, to offer consumers a place where they can easily pick and choose the services they want. Q. What is Samsung doing to encourage more developers to participate? We are offering developers access to the same tools that we use to build those services, and this comes in the form of the Bixby Developer Studio. We’ve created this so that developers can create Bixby Capsules more efficiently. With it, developers and AI can work together to make programs – when the developer gives Bixby the building blocks, Bixby uses the developers’ models to learn about users, making it a collaborative process with the AI. In addition to providing developers with the tools they need to take Bixby’s convenience to the next level, we’re continuously enhancing the platform with more devices, more services, and support for more languages. Other than that, we are investing more in technologies such as Automatic Speech Recognition (ASR), Natural Language Understanding (NLU) and other technologies in the Audio Intelligence category so that Bixby can understand the natural language better. Q. You mentioned the Bixby Marketplace. How many Bixby Capsules will need to be ready before the Marketplace opens, and what types of capsules can users expect to find there? When it comes to the Bixby Marketplace, what really matters isn’t the sheer number of capsules, but the actual quality of the Bixby Capsule selection. The Marketplace will feature a wide range of capsules spanning categories like transportation, music, lifestyle and more, and we’ll need to have enough high-quality capsules ready to fill out those categories. The more third-party developers jump on board and contribute innovative capsules, the faster the Marketplace will be up and running. When it officially opens, developers will also be able to upload more capsules to the Marketplace. 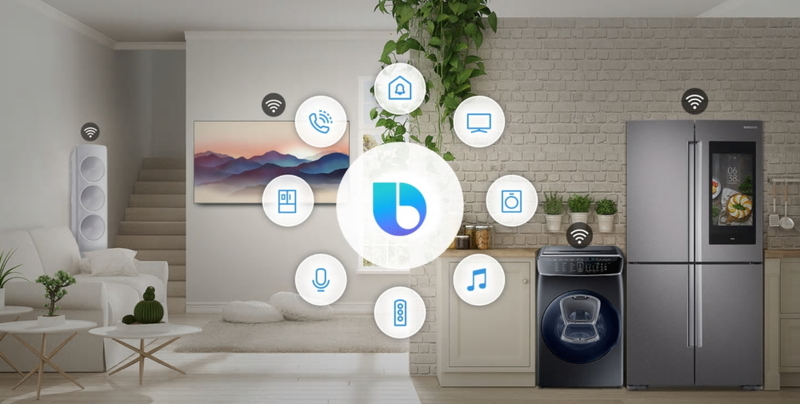 These capsules will utilize Bixby’s natural language understanding to simplify users’ daily lives. Users will be able to easily access every single one of them through the Marketplace. Q. Is the new Bixby compatible with Samsung’s TVs and appliances as well? Will developers’ Bixby Capsules need to be customized to work on these devices? Devices that already support Bixby, from our Family Hub and Smart TVs, will also be made compatible with the New Bixby in the near future. As far as Bixby Capsules are concerned, just because Bixby functions across a variety of devices doesn’t necessarily mean that developers will have to rebuild their capsules to make them compatible with each. Various departments in Samsung are working closely together to make this aspect of the development process as simple as possible. Each device’s features might be different – the device may or may not have screens or speakers, for example. But for each device, all the developer will have to do is reorganize the layout of the data. These capsules for various devices will be easy to develop, as the tools Samsung provides will include various UI components and simulators that help developers in their processes. Q. Compared to other intelligent assistants, what are some key benefits that Bixby offers developers and consumers? Seamlessness, for one. With Bixby, you’re dealing with a single assistant across all kinds of devices—one that’s constantly being optimized to enhance its convenience. Samsung sells more than 500 million devices a year, creating millions of opportunities for consumers to engage with dynamic Bixby services. We’re committed to expanding the platform to encompass all Samsung devices in the near future, starting with five more languages in the coming months. And with our industry-leading expertise in mobile, display and home innovations, we understand exactly how to create simple and unified multi-device experiences. Because the platform invites third-party developers to contribute their own services, and encourages users to utilize the services that work for them, each person’s experience is ultimately unique. That inherent aspect of personalization is part of Bixby’s beauty. Q. Do you have any final words for developers out there who are interested in growing their services with Bixby? What do you see as the future for Bixby? Because Bixby is an open platform—a platform that will constantly evolve as more and more developers create and contribute innovative capsules—we can’t even imagine what the future will hold. But we’re excited to find out. With Bixby, you’re looking at a platform that allows your services to truly shine, and offers a means to deliver them to millions of users around the world. We still have areas where we need to improve, and I encourage interested developers to join us on this journey, provide us with constructive feedback, and help us build a more seamless and connected future.